The Buffalo Flexible Income Fund is proud to be recognized by Thomson Reuters with a Lipper Fund Award for Superior 10-year Performance, ending 11/30/2011, among 181 Mixed-Asset Target Allocation Moderate Funds for Historical Risk-Adjusted Returns. Since 1994 the Flexible Income Fund has been focused on generating income and growth for our investors over the long term. This recognition by Lipper, a leader in mutual fund research, confirms our standing as a top-notch investment choice for long-term investors. The Buffalo Flexible Income Fund strives primarily to generate current income for its investors, with a secondary focus on growth of capital. In today’s low interest rate environment, finding alternative sources of income is difficult for investors. The Fund takes that burden off of investors, allocating among what the managers believe to be a sound mix of dividend paying stocks, high-yielding bonds and any other income-generating asset classes that fit the Fund’s objective. 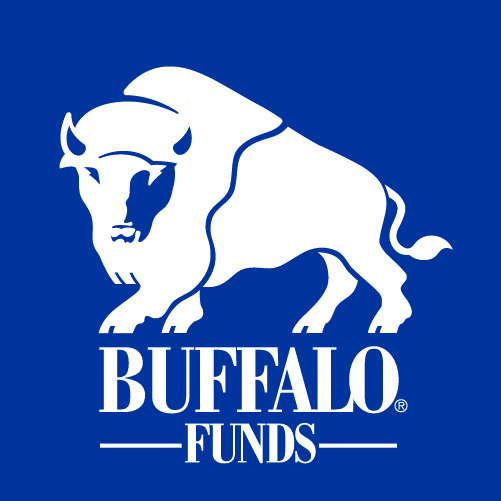 For more information about the Buffalo Flexible Income Fund, visit http://www.buffalofunds.com, or call 1-800-49-BUFFALO. The Funds’ investment objectives, risks, charges and expenses must be considered carefully before investing. The statutory and summary prospectuses contain this and other important information about the investment company, and may be obtained by calling 1-800- 49-BUFFALO or visiting http://www.buffalofunds.com. Read carefully before investing. The Buffalo Funds are distributed by Quasar Distributors, LLC. A Lipper Fund Award is awarded to one fund in each Lipper classification for achieving the strongest trend of consistent risk-adjusted performance against its classification peers over a three, five or ten-year period. Although Lipper makes reasonable efforts to ensure the accuracy and reliability of the data contained herein, the accuracy is not guaranteed by Lipper. Users acknowledge that they have not relied upon any warranty, condition, guarantee, or representation made by Lipper. Any use of the data for analyzing, managing, or trading financial instruments is at the user’s own risk. This is not an offer to buy or sell securities. Lipper Analytical Services, Inc. is an independent mutual fund research and rating service.